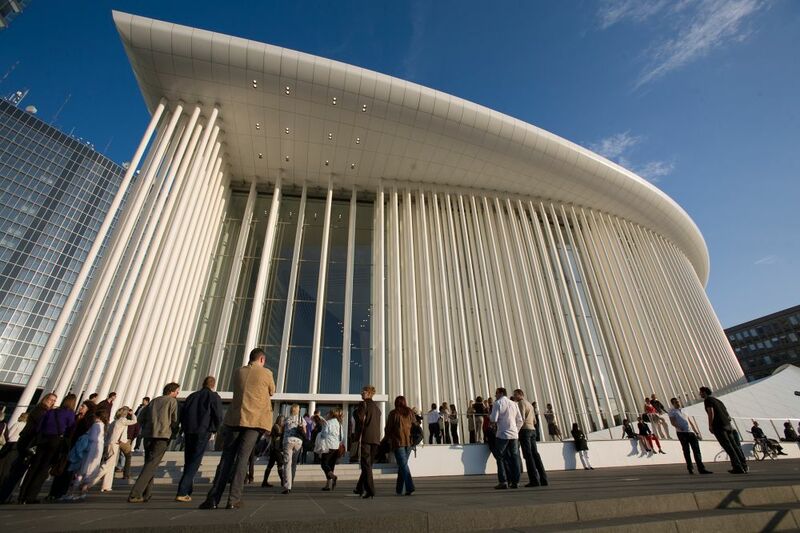 In the Philharmonie Luxembourg, the roughly half a million inhabitants of the Grand Duchy have at their disposal one of Europe's most renowned concert halls. The statistics for visitors to the Philharmonie, which is situated on the Place de l’Europe (on the Kirchberg) in the capital – close to the city centre and to the institutions of the European Union – are impressive evidence of the place occupied by music in the lives of those who live in the Grand Duchy and in the Greater Region: every year it is visited by more than 150,000 music-lovers; since it opened in the summer of 2005, more than 1.5 million visitors have attended some 3,500 events at the Philharmonie (as of summer 2015). 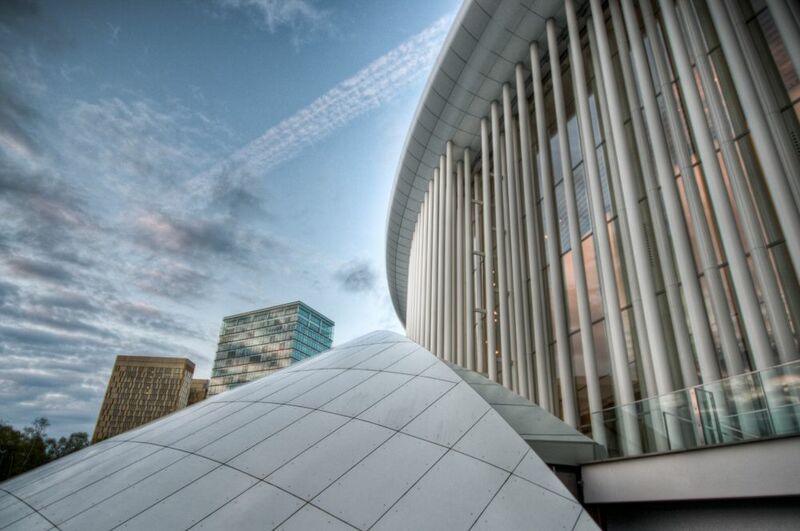 The Philharmonie has succeeded, in a very short space of time, in establishing itself as a much-loved venue for music-making, listening, encounters, and communication – both in Luxembourg and internationally and with both artists and listeners. This success owes much to its exceptional architecture and its impressive acoustics. 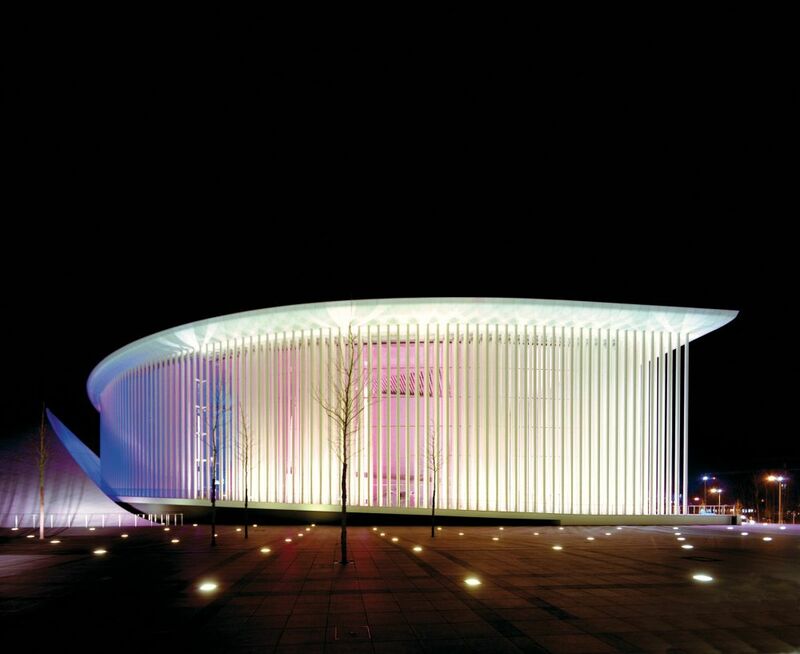 The French architect und Pritzker Prizewinner Christian de Portzamparc won the international architectural competition for the new concert hall in 1997 with a striking design: 823 slender white pillars give the building and its elliptical Foyer a transparent envelope, within which visitors find three very different auditoria. 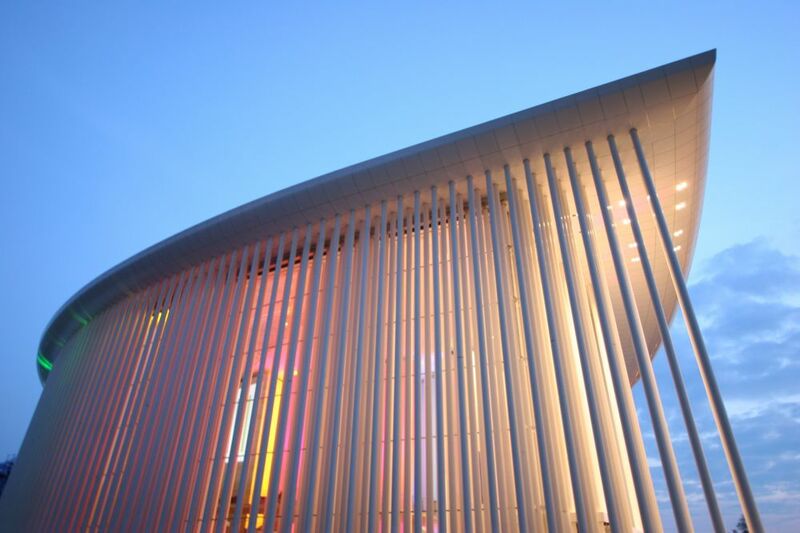 The Grand Auditorium – which, with its combination of stage, stalls, organ, and eight lateral box towers, is reminiscent of a meeting square surrounded by buildings – can hold up to 1,472 spectators; acoustically, it offers optimal conditions for a very wide range of concert performances. 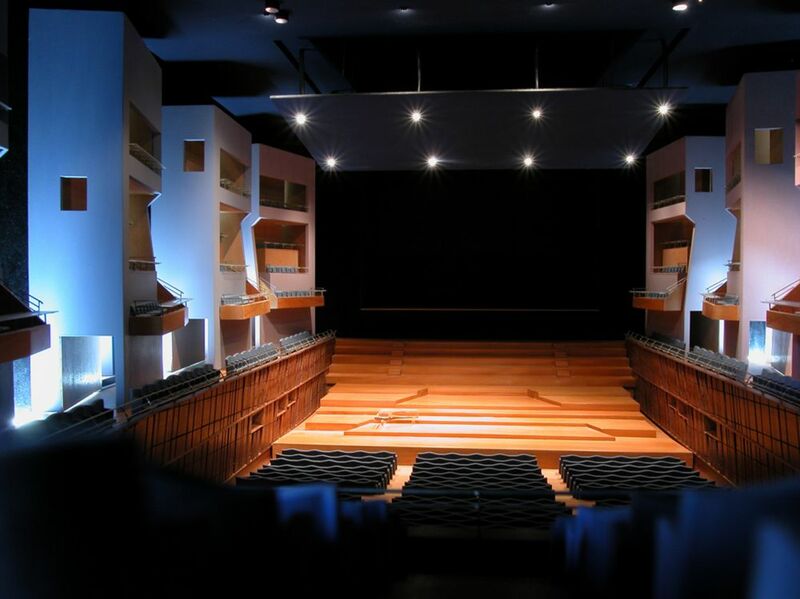 The same can be said of the smallest studio auditorium in the building, the Espace Découverte, whose flexible seating arrangements can cater for up to 180 people. With its boldly curved lines, the Salle de Musique de Chambre, which seats 313, provides a fine setting for attentive listening to chamber music performances and recitals. Wide-ranging musical diversity and an uncompromising attitude to artistic quality are the guidelines for programming at the Philharmonie. 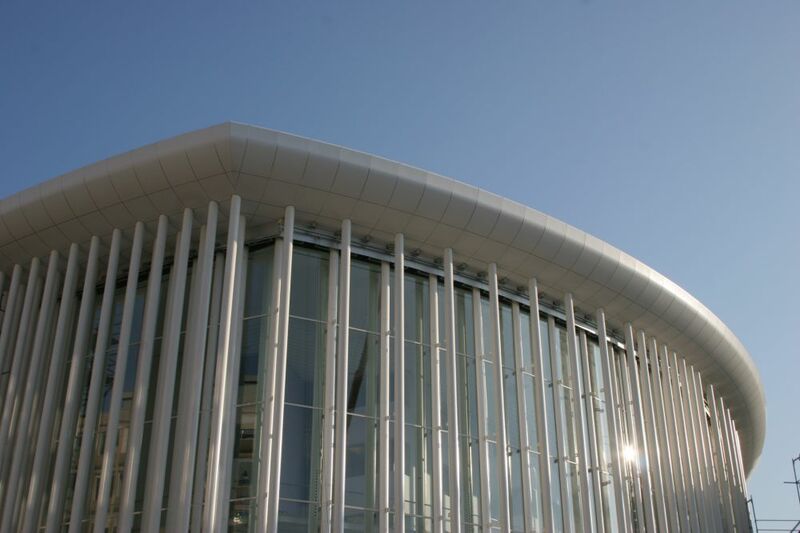 The Orchestre Philharmonique du Luxembourg (founded in 1933, based in the Philharmonie since 2005, and organisationally united with it since the beginning of 2012) is not only present for the day-to-day business of rehearsals, but will, for example, give many of the 90 concerts it has lined up for the 2015/16 season in the Philharmonie. 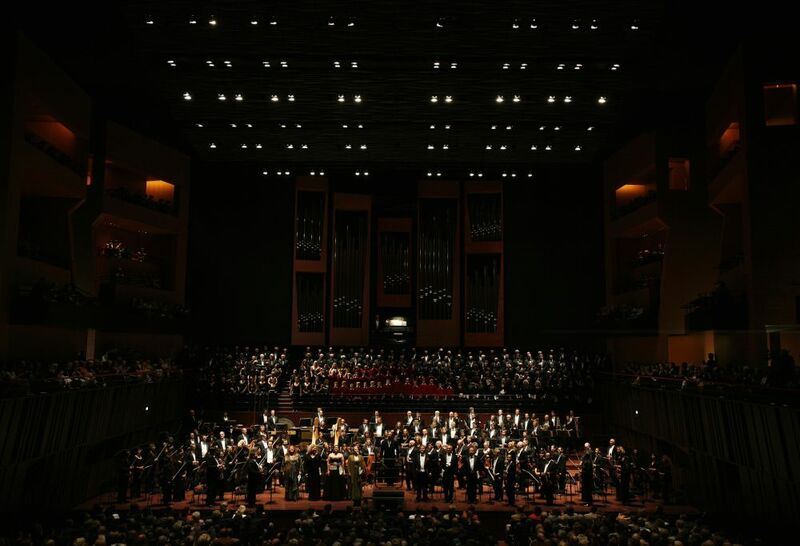 The world's most celebrated orchestras, conductors, soloists, ensembles, and chamber music performers are regular guests in the Grand Auditorium. 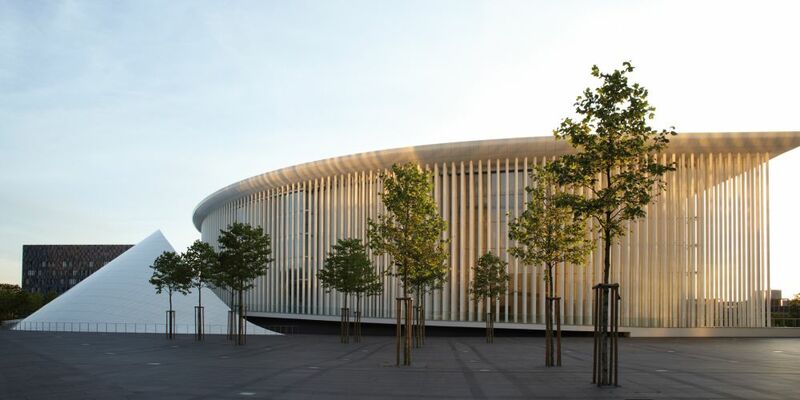 The Philharmonie's programming ranges from early music to remarkable premieres (during the rainy days Festival, for example) and from stars of jazz, world-music revelations, and DJ legends to traditional brass ensembles and young Luxembourg musicians and bands. 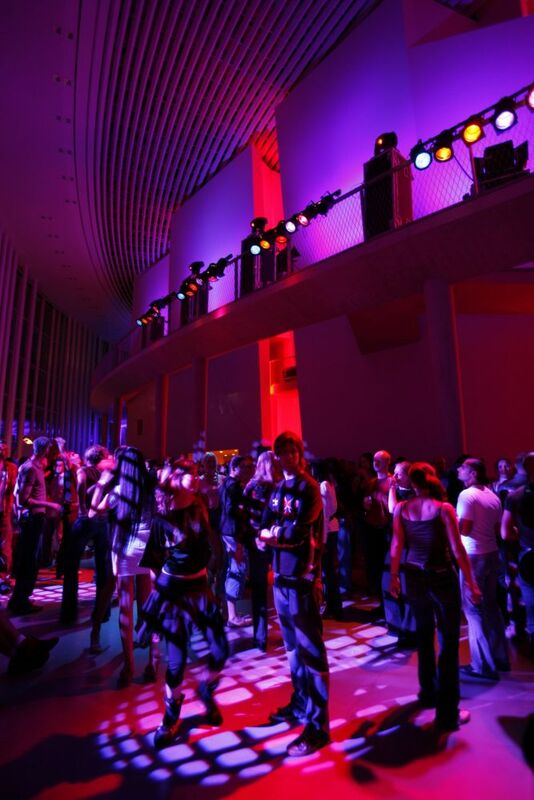 As a matter of policy, the Philharmonie aims to cater for a wide range of audiences. In that context, special attention is paid to young people: every year the Philharmonie hosts about 150 concerts for children and young people; these are tailor-made for particular age groups. 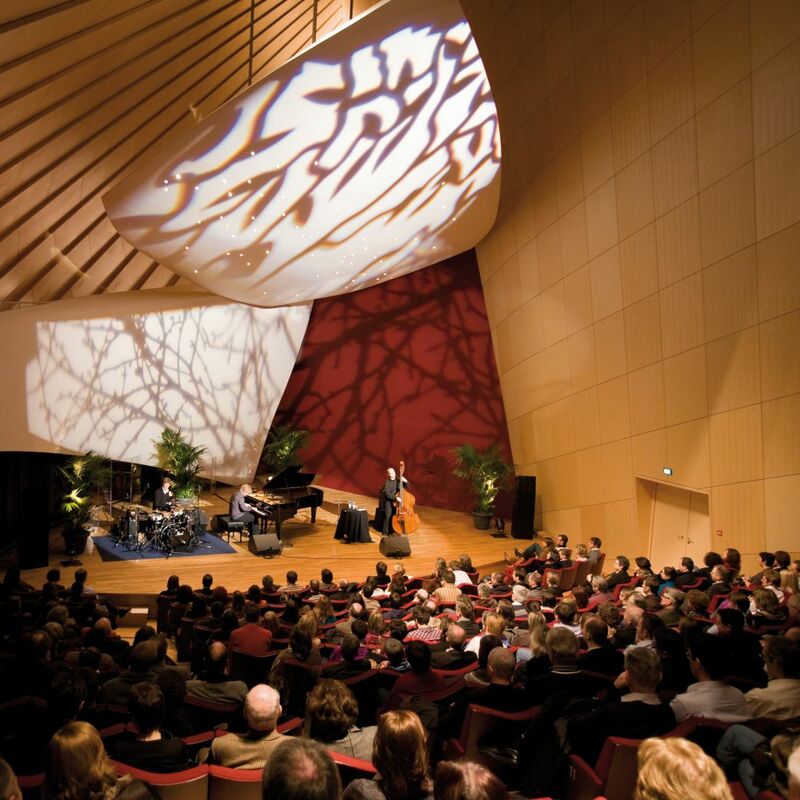 The concert hall and orchestra on the Kirchberg are also to the fore in many and varied activities designed to make music accessible, from concerts with presenters and a variety of side events to free programmes for concerts and intensive communication via social media. The Philharmonie, moreover, initiated and acts as the headquarters for the non-profit EME Foundation, which organises more than 500 concerts a year for people who would otherwise be excluded from cultural life, for example in hospitals, hospices, and prisons. 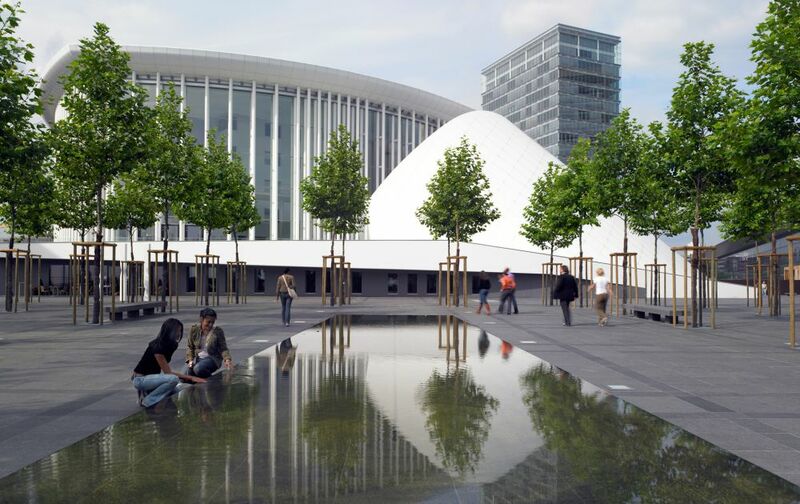 Since it opened in 2005 the Philharmonie Luxembourg has been a member of ECHO – the European Concert Hall Organisation.